Ellen Doremus has been drawing and painting since she was a child. She has always had a love for animals, especially dogs and horses. Having owned several dogs and horses throughout her life, she has come to appreciate their beauty, personalities and uniqueness. Her paintings of animals are illustrative and realistic and portray their personalities with accuracy and charm. Ellen is a graduate of the Fashion Insitiute of Technology in New York. She majored in Interior Design and after graduating she taught watercolour rendering for several semesters at FIT. Her continuing education includes studying botanical drawing and watercolour at the New York Botanical Gardens. She has taken drawing courses at the Metropolitan Museum of Art in New York and has studied at the Jackson Hole Art Association in Jackson Hole, Wyoming. In Jackson Hole she studied with well known Western artists Donna Howell Sickles and Sari Staggs. Ellen participated in a group art show for four years at the Jack Dennis Gallery in Jackson Hole. The last several years, Ellen has studied oil painting at the Stevenson Academy of Fine Art in Oyster Bay, including life drawing, figure painting, still life painting and plein air landscape painting. She has continued her art studies at Nelson Shank's Studio Incamminati in Philadelphia. She has also studied with Robert Armetta at LIFA and Robert Zeller at The Teaching Studios of Art in Oyster Bay, NY. 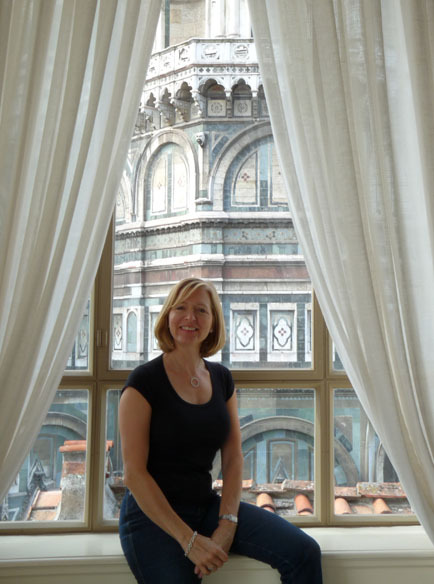 Ellen has a keen interest in travel and meeting new people. She has travelled extensively though out Europe, the United States, China, Africa, Costa Rica and the Galapagos. She has lived in Westhampton Beach, the South of France and Jackson Hole. In addition to painting, she practices residential interior design.